MAS0219H from Giovatto Advertising on Vimeo. 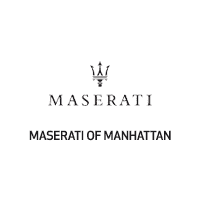 Whether you’re from New York, Manhattan, Brooklyn, Staten Island, Jersey City, NJ or anywhere in between, you can rest assured that when you shop for a new or used Maserati, you’re shopping for quality and reliability, no matter which model appeals to you. When you can come to Maserati of Manhattan, you can have your Maserati wishes granted. And let’s face it: you deserve nothing less – we know our job isn’t finished until you’re completely satisfied.